Would you drink this water? Photos: Supplied by Tom O’Dea. Imagine drinking discoloured water that smells like mouldy socks? For the residents of the small NSW town of Yass an hour outside of Canberra, this is a reality. The town’s cloudy and smelly water supply has been an ongoing problem for years and according to the local council, there is no quick solution to the dilemma. 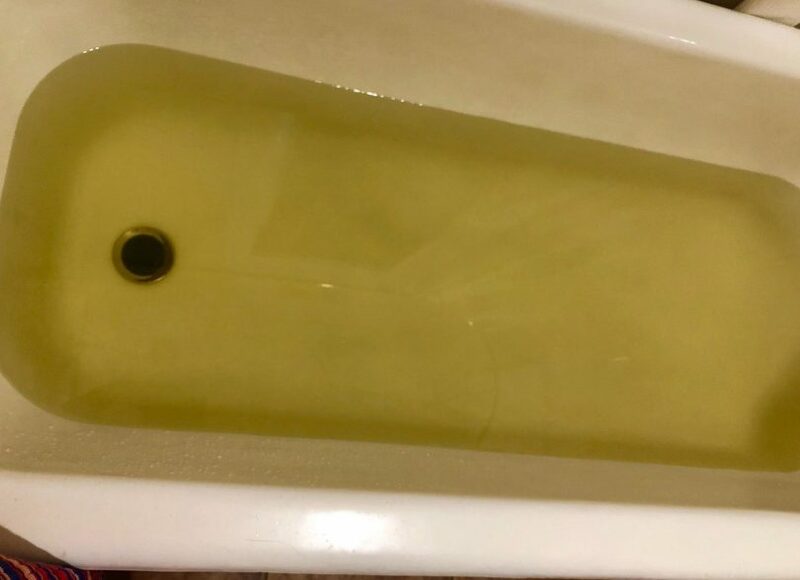 Despite the water’s brown colour and horrid stench, the Yass Valley Council is adamant the water is safe to drink and does not cause any health side effects. Yass resident Daniel Kelly said he moved his family to Yass from Canberra in 2006, attracted by small town living and affordable housing but soon learnt the town had a “dirty little secret”. “Within weeks, we put a small tank on the house to avoid drinking the water, which is not an option for renters, or those who can’t afford it,” he said. Tom O’Dea moved to the small country town two months ago to move to his “idyllic home in an idyllic location” before realising his new home was not all that it appeared to be. His kids are hesitant to take baths in the murky water, which sometimes is so brown they cannot see the bottom of the sink. Yass Mayor Rowena Abbey is adamant the discoloured and smelly water only occurs in pockets in the township of Yass and is not a blanket problem for all households. According to the Mayor, the recent hot weather and limited rainfall has created “excessive levels of manganese and iron elements” in the local water catchment, causing the discolouration and unpleasant smell. To fix the issue, the town will need a new water treatment plant to replace the current filtration plant that was last upgraded in 1990. This week, Member for Eden Monaro Mike Kelly promised that Federal and State Labor Governments would fix the water contamination issues in Yass by investing $5 million each to help the Yass Valley Council (YVC) modernise the town’s water treatment plant. Council estimates a new plant would cost close to $11 million. However, issues with the water are not new: as far back as 2014, YVC told residents they had reached a ”turning point” after a new trial was successful in removing manganese from the town’s water supply. The element has caused the water to discolour since the construction of the new Yass dam. Cr Abbey said flushing the water system helped move the discoloured and pungent water through the system but it does not necessarily solve the entire problem. With the continued hot weather and lack of rainfall, Yass Valley Council is unable to put an exact timeframe on when the water supply will return to normal as staff continue to monitor the situation. “The palatability of Yass water is a major issue to be addressed and we are encouraging people to contact the Council if they are experiencing high levels of colouration,” Cr Abbey told Region Media. The Council conducts daily water quality tests alongside NSW Health monthly tests of the water supply, with the most recent sample tested on 30 January 2019 showing that the water continues to comply with the health criteria of the Australian Drinking Water Guidelines. 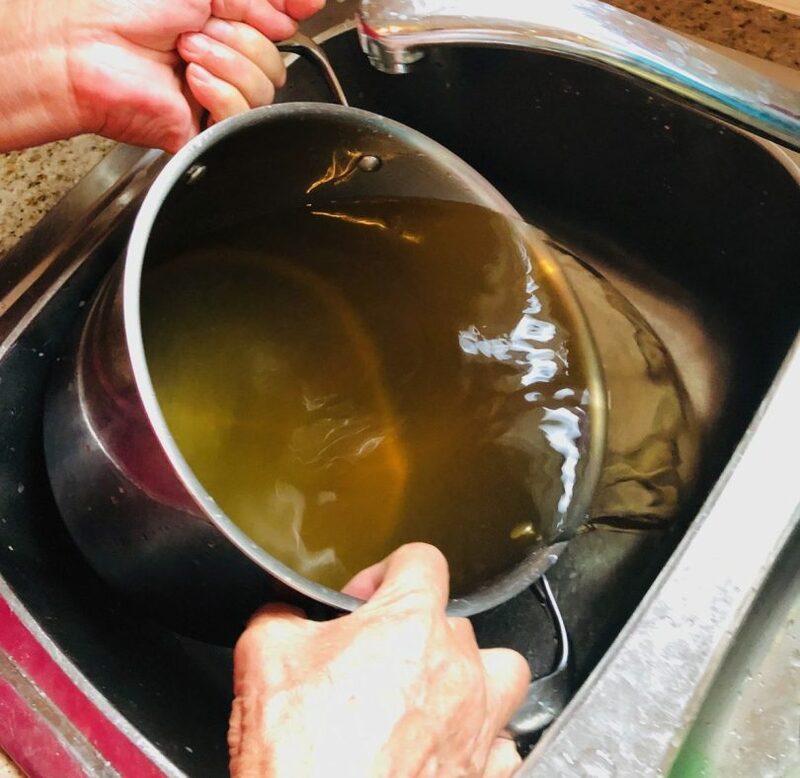 If you have discoloured and unpleasant smelling water, you can contact the Yass Valley Council directly by calling the customer service team on 6226 1477.